Looking for 247-host promo codes and coupons? #MasterTheWeb and save money today with our exclusive The Webmaster offers. This is a special end of sale providing 30% off all shared hosting plans. They usually repeat this sale for each season. This is a special sale providing 30% off all VPS hosting plans. Good excuse to go for their fully managed SSD VPS! This is a special sale providing 30% off all reseller hosting plans. Make the most of this deal by signing up for longer periods, or upgrading to a higher level plan. This is a special sale providing 30% off all dedicated servers. The discount applies to the first month only. 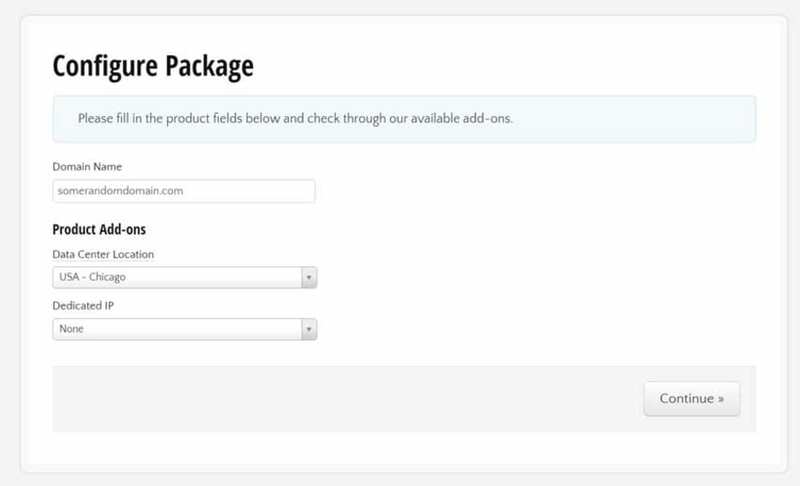 After selecting your chosen offer above, the page will open a new modal window with your coupon displaying. Click “Copy code” and then the link to proceed to 247-host’s website. 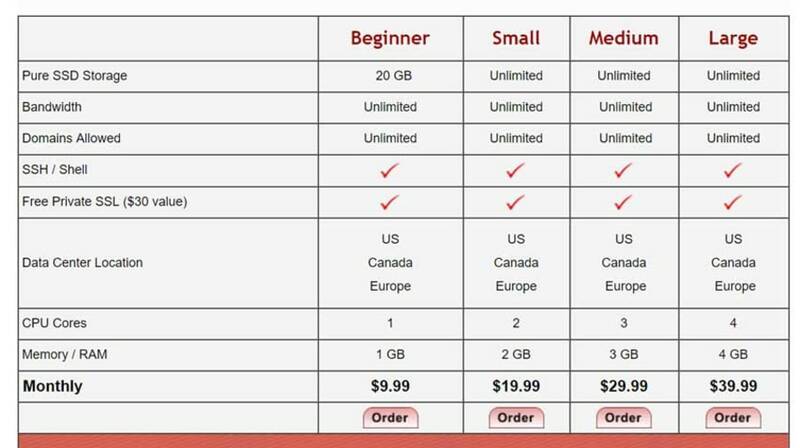 In this example tutorial, we will be choosing one of their SSD Business hosting plans. When navigating to Business SSD page you will see a table with a full list of features. You should review this carefully to ensure you are happy with your chosen plan, which for the SSD Business hosting has varying amounts of resources such as CPU and RAM allocated. Once you have decided on your chosen plan, click “order”. On the next screen you will need to choose your package term. 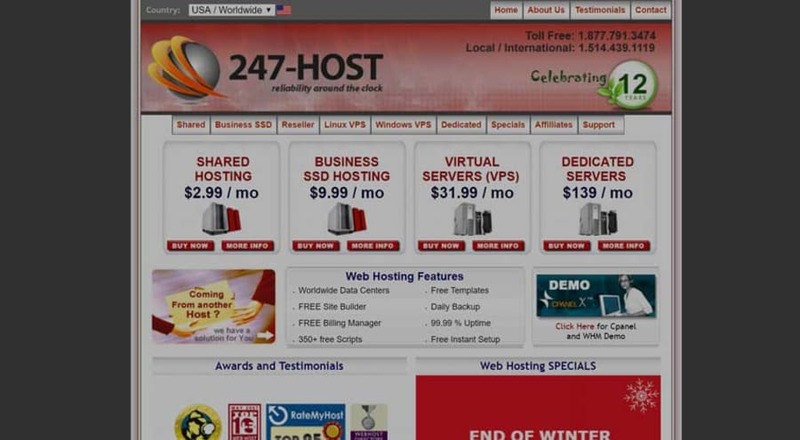 There are no discounts for signing up for longer periods, which is quite unusual for a hosting provider. Hovever, our special coupon applies to the whole term. For maximum savings you should sign up for longer. Once you have chosen, press “continue”. Select Package © The Webmaster. You should enter your domain name, choose datacenter location and whether you wish to have a dedicated IP. Once you have done this, select “continue”. Enter domain name and select add-ons © The Webmaster. At the top you will see a summary of your order, including any add-ons. 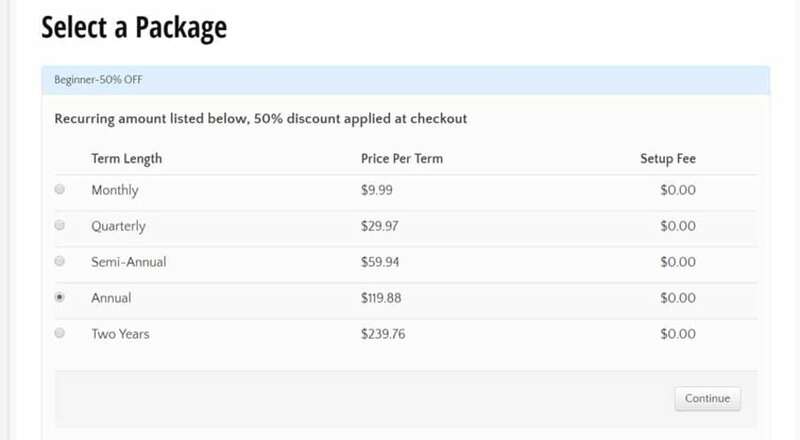 It will also clearly show the discount applied to your order, as shown in the screenshot. Underneath, you must enter your contact details and payment information. What payment methods do 24-7host take? 247-host accepts payment by PayPal or Credit \ Debit card. Will the cost of hosting go up when I renew? No, the current discounts offered are for your lifetime. As long as you do not let the hosting expire, you should be fine.